Superior cleaning results with less guest disruption. 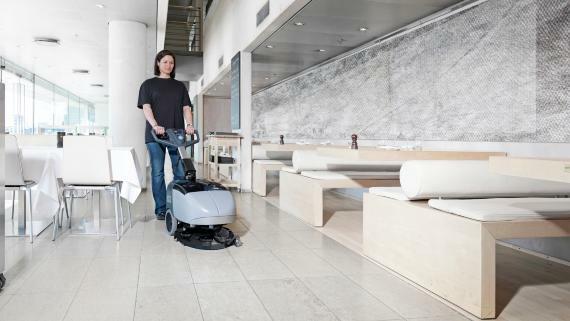 As your cleaning partner, Nilfisk can help you improve your hospitality business and increase staff productivity, offering superior cleaning results with less guest disruption. We know you compete for every guest and that first impressions are vital. To assure the comfort and contentment of your guests and staff, you work to achieve the highest level of cleanliness in your facility, and you carefully consider the health, air quality, safety and environmental effects of your cleaning practices. Nilfisk’s revolutionary and patented floor care solutions can help you reduce water and chemical consumption, improve indoor air quality and reduce the overall environmental impact of your floor cleaning. Nilfisk floor and surface cleaning equipment is used at facilities large and small – from world-class entertainment venues to luxury hotels, casinos, cruise lines, sports complexes, amusement parks and convention centers. Whatever the needs of your hospitality-based facility, Nilfisk’s commitment to superior value, reliability and efficiency is found in everything we make and everything we do.